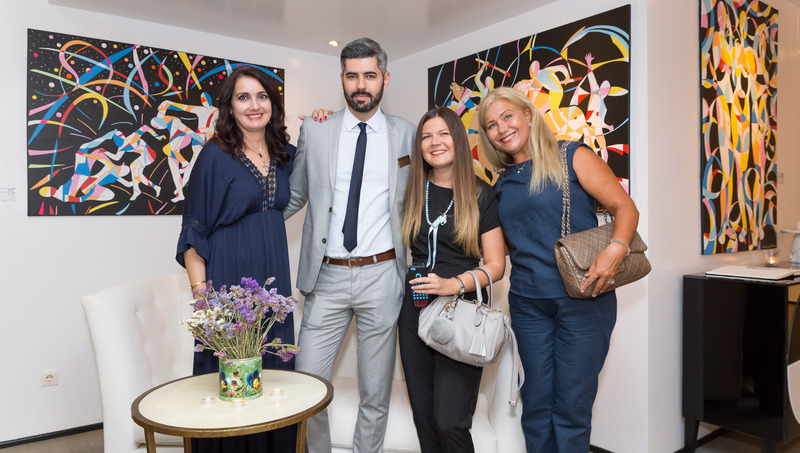 The Art in the heart of Athens series continue at Grecotel Pallas Athena with a new exhibition by Teodosio Sectio Aurea. 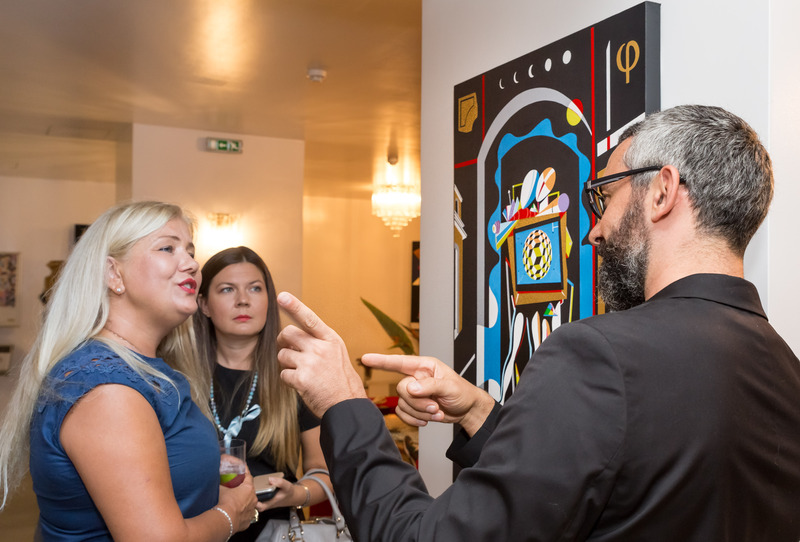 At the opening of the exhibition which took place on the 23rd of September, I met with the artist and got an inside introduction to his world of art and inspiration. Τeodosio Sectio Aurea uses light, shadows and imagination — blending a world of light and darkness to produce unique artworks with the use of metal, paper, acrylics and plastic. 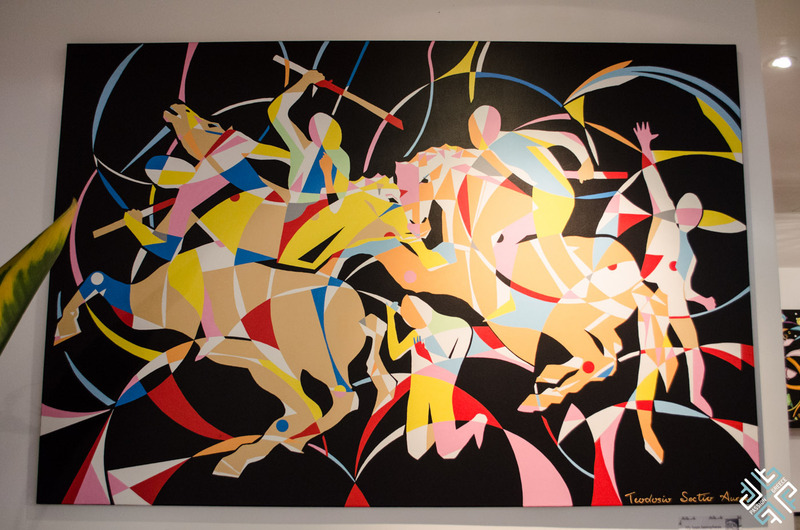 His paintings portray playful abstract figures, colourful, free and mysterious. 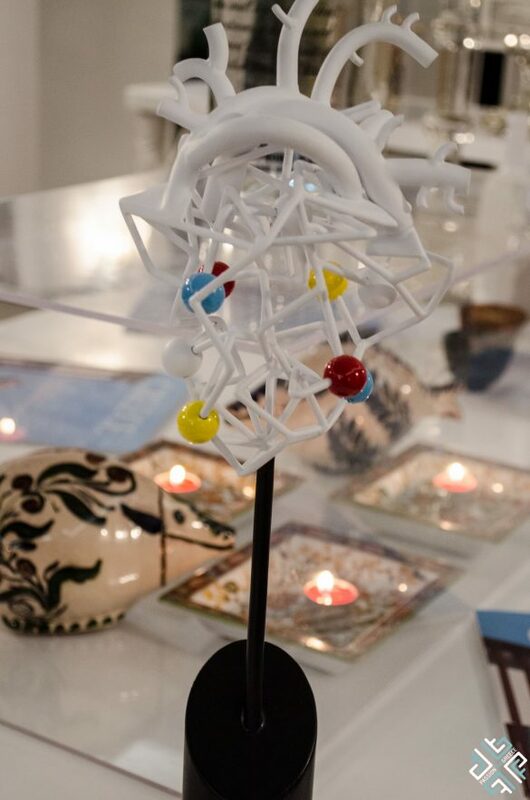 The exhibition displays his recent creations — the unique geometric and mechanical hearts made of iron, sheet metal, gears, electrodes and slingshot ammo. 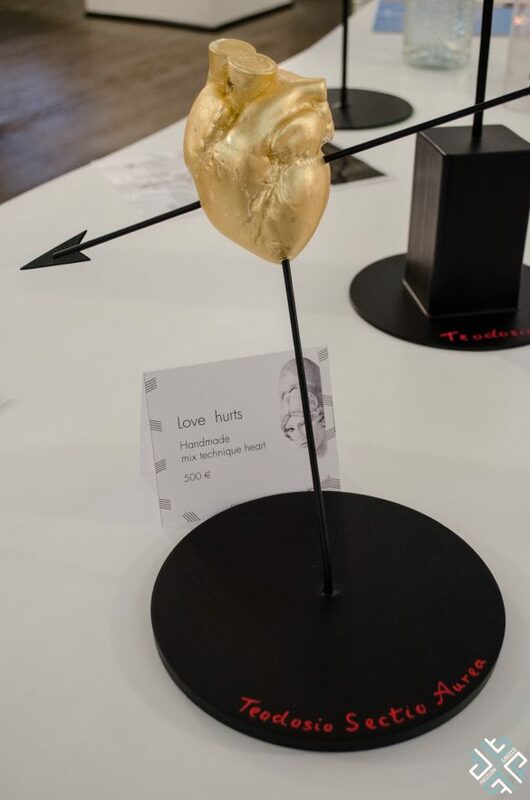 One of my favourite was a gold heart called “Love Hurts”. Teodosio Sectio Aurea creates unusual sculptures — using a combination of metal, wire and lighting his works of art present inspiring shadows which are projected on surfaces. The artist explained how by placing the sculptures at a right angle and projecting the light in a certain way will make the viewer experience his imaginary creation. His works range from human figures to renowned works of Pablo Picasso and Michelangelo. Imagination is infinite and beauty is in the eye of the beholder. Can you guess who is the artist’s greatest inspiration? I had the impression that it was Pablo Picasso but actually it’s Salvador Dali and his flamboyant personality. Along with creative art we tried the refreshing cocktails by ABSOLUT Vodka, the Absolut Cape Cod and Collins. If you are a fan of art, you may visit the exhibition until the 31.12.2016. It is open daily from 08:00 until 22:00. Entrance to the exhibition is free. 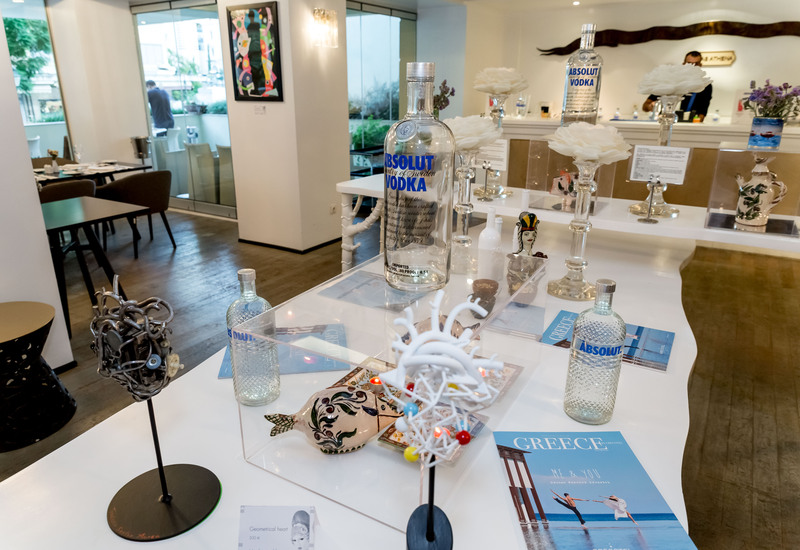 You may also reserve a table and enjoy dinner and art in the heart of Athens.